Though not espousing a particular tradition, this firm is a place of faith. This is a place where faith may be freely expressed. God willing, this is a place where faith may grow, despite the sometimes painful reality of the imperfection of human beings, the deterioration of human minds and the impermanence of human bodies. Our mission is to offer compassionate, individual attention and respect, as well as legal and fiduciary services second to none, in the areas of estate administration, estate planning, probate of estates, conservatorships and other planning for aging, infirmity and death. In its fiduciary work, this firm provides integrity in managing the affairs of the elderly and infirm, and closure to families who might not otherwise reach it. We seek to provide individual attention and concern. Because we do not produce “cookie cutter” plans, we do not attempt to match or better the fees of other attorneys’ offices, and we do not provide “review only” legal work. We have limited experience in areas other than estate administration, estate planning, and probate law (including conservatorships), and we do not attempt to provide legal services outside these areas. Our office has helped many South Carolina residents of modest and moderate means to do their estate plan with thoroughness and simplicity. Ms. Horton’s approach is somewhat conservative in the area of estate tax planning, but her extensive experience in probate litigation and estate administration has informed and reassured literally hundreds of estate planning clients. Ms. Horton’s experience and knowledge extends into all aspects of South Carolina probate law and appropriate planning for South Carolina probate. She has ample experience in drafting Testamentary Trusts, Living Trusts when they may be necessary or appropriate, Powers of Attorney and Healthcare Powers of Attorney, Living Wills, and, occasionally, the ancillary Affidavit or document that may explain unusual choices. We do not produce “cookie cutter” plans, and we do not provide “review only” legal work. While it is undeniable that there are certain forms that are appropriate for various parts of estate planning, no document leaves this office without clear explanation from Ms. Horton, and the certainty that the client understands the purposes of the document and that it meets the individual’s situation. Call Theresa A. Horton, P.A. 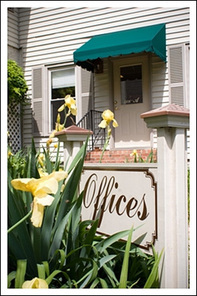 at 864-242-4221 today to schedule an appointment at our Greenville, South Carolina office. Theresa A. Horton, P.A. is located in Greenville, SC and serves clients in and around Greenville, Conestee, Greer, Piedmont, Mauldin, Taylors and Greenville County.